According to The Centre for Solar Energy and Hydrogen Research Baden-Württemberg and the German Association of Energy and Water Industries, in 2016 Germany used more renewable electricity than ever before, receiving 32 percent of the gross amount of electricity consumed in the country from renewable sources. - Geothermal power 0.2B kWh – up 12 percent over 2015. 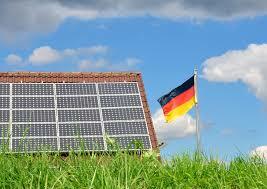 Germany government's energy targets for renewables' share in gross electricity consumption is 35 percent by 2020.